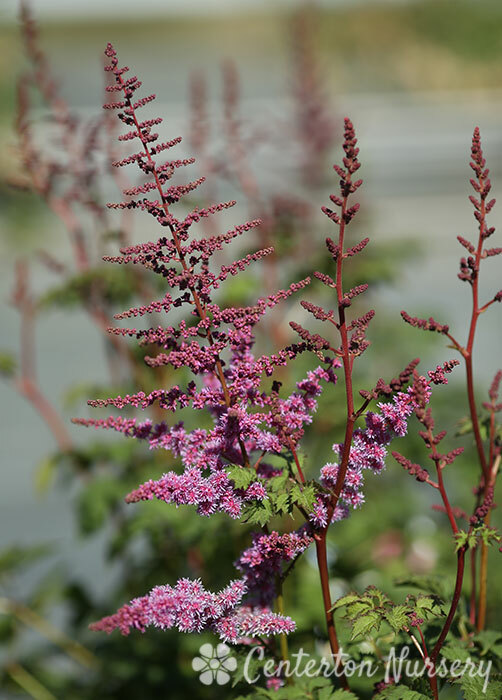 Large and stately selection of Astilbe with fluffy pink/lavender plumes rising nearly four feet above mint green foliage. A statement piece for the perennial garden. Plant Height: 36" - 48"